SonoDepot, veterans of ultrasound repair and sales, will exhibit at AAMI's 2016 Expo. The company will feature the innovative ALPINION series. SonoDepot to Exhibit the ALPINION Ultrasound Series at the 2016 AAIM Expo in Tampa, Florida. AAMI 2016 is the premier conference for healthcare technology management. The event draws more than 2,200 biomedical equipment technicians, clinical engineers, and others who manage or support medical devices for healthcare institutions. Educational sessions focus on practical solutions for the challenges that attendees face in their work every day. 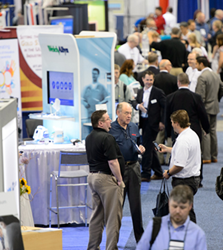 The Expo provides an opportunity to see the latest technologies from many of the world's leading medical-equipment manufacturers and service providers.